Is Professor of Ophthalmology and a member of the Ophthalmic Plastic, Orbital Surgery and Oncology Service at the Bascom Palmer Eye Institute in Miami, Florida? He holds the Dr. Nasser Ibrahim Al-Rashid Endowed Chair in Ophthalmic Plastic, Orbital Surgery and Oncology in the Department of Ophthalmology. He received his medical degree from the University Of Miami School Of Medicine. His ophthalmology residency was completed at the University of Southern California in Los Angeles. Following residency, he completed ophthalmic plastic surgery fellowship training at the University of Iowa. He then joined the University of Iowa faculty in 1982 and stayed until 1986 when Dr. Edward Norton, founder of the Bascom Palmer Eye Institute, invited him to start the Ophthalmic Plastic Service in Miami. Dr. Tse is the recipient of the El-Maghrabi International Award, USC/Doheny Distinguished Alumnus Award, and the University of Miami Invention Recognition Award. He is recognized in Best Doctors in America and America’s Top Doctors. He has had over 58 visiting professorships and delivered 8 named lectures. Dr. Tse has edited the Color Atlas of Ophthalmic Surgery: Oculoplastic Surgery and has authored more than 100 book chapters and peer-reviewed scientific articles. 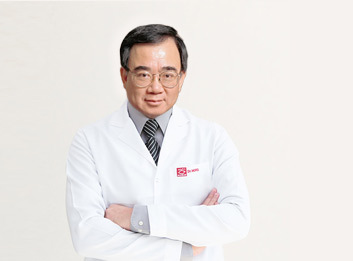 He is a member of several major ophthalmologic professional societies, including the American Ophthalmological Society. He is on the Editorial Board of Ophthalmic Plastic and Reconstructive Surgery Journal and currently serves as a Director of the American Board of Ophthalmology. Dr. Tse’s clinical interests include the full spectrum of lacrimal, eyelid and orbital reconstructive surgeries due to disease or injury, as well as aesthetic and rejuvenative surgeries. His clinical research efforts center on innovative ways to treat extensive skin cancers and lethal orbital malignancies and in translational research by integrating scientific discovery into clinical reality in terms of diagnostic and therapeutic approaches to oculoplastic and orbital diseases. Dr. Tse precepts an American Society of Ophthalmic Plastic and Reconstructive Surgery Inc. approved fellowship in oculoplastic and orbital surgery.